OAKLAND, Calif., March 14, 2019 /PRNewswire/ -- Kaiser Permanente announced that Tami Lamp has been selected as senior vice president and chief human resources officer for Kaiser Foundation Health Plan, Inc. and Hospitals, known as Kaiser Permanente. "Our people are our greatest resource at Kaiser Permanente and we are fortunate to have such an experienced leader in this critical role," said Chairman and CEO Bernard J. Tyson. "The health care industry is experiencing massive transformation. 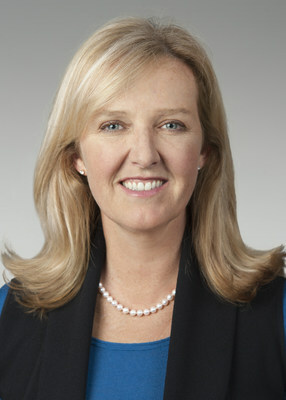 As we adapt to and lead during these changing times, Tami's contributions will be critical to our continued leadership in recruiting, retaining and developing our current and future workforce who deliver on Kaiser Permanente's value proposition to our members, our communities and our nation." "I am thrilled to have the opportunity to work with such a talented and diverse group of professionals," Lamp said. "Kaiser Permanente is not only at the forefront of changing health and health care in America, it's also widely recognized as one of the best places to work. Health care is all about people and I'm excited to bring my energy and perspective to this role." Lamp has more than 20 years of experience and joins Kaiser Permanente from her role as chief people officer for Icertis, a cloud-based management platform, where she led their mission to grow to and position themselves as a global employer of choice. Previously, Lamp served as executive vice president of human resources for Group Health Cooperative and successfully led the people strategy work before and after their transition to Kaiser Permanente. She also has served as senior vice president and chief people officer at Caradigm and senior human resources director at Microsoft. Lamp holds a master's degree in industrial and labor relations from Cornell University, a master's degree in aeronautical sciences and business administration from Embry-Riddle Aeronautical University, and a bachelor's degree from the University of North Dakota. She also serves on the advisory board of the Cornell University Industrial and Labor Relations School. Kaiser Permanente is committed to shaping the future of health care. We are recognized as one of America's leading health care providers and not-for-profit health plans. Founded in 1945, Kaiser Permanente has a mission to provide high-quality, affordable health care services and to improve the health of our members and the communities we serve. We currently serve more than 12.2 million members in eight states and the District of Columbia, and have 217,000 employees and 22,000 physicians. Care for members and patients is focused on their total health and guided by their personal Permanente Medical Group physicians, specialists and team of caregivers. Our expert and caring medical teams are empowered and supported by industry-leading technology advances and tools for health promotion, disease prevention, state-of-the-art care delivery and world-class chronic disease management. Kaiser Permanente is dedicated to care innovations, clinical research, health education and improving community health. For more information, go to kp.org/share.